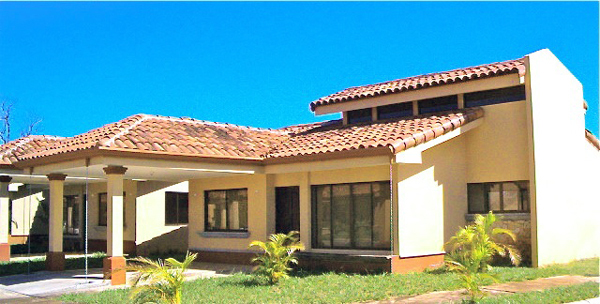 Smartly situated at the intersection of highways to numerous Pacific beaches only 10 minutes from Liberia's international airport and less than 5 minutes from the major new hospitals now under construction, Clinica Biblica and CIMA, Prados del Rio offers two models of condo which could be permanent homes, vacation homes, or rental homes to medical tourists. This is a period of major development in Pacific Northwest Costa Rica, an area famous for its many beautiful beaches and tourist accomodations. 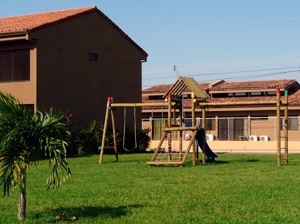 Prados del Rio provides an opportunity to invest in the future of the area for a modest sum. 50 units have been built of the 180 planned. There are two models, the Begonia, which, in 1260 square feet, has 3 bedrooms and 2.5 bathrooms and 2 storeys, and the Azalea, which has 2 bedrooms and 2 bathrooms in one story of 990 square feet. First indication was that prices start at $159,000, but we have learned that pricing is still indeterminate. 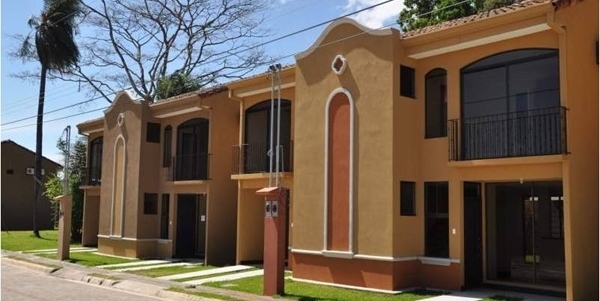 Not only are the condos within a few minutes of the recently enlarged airport and the hospitals, but beaches such as Coco, Panama, Hermosa, and many more are as close as 15 minutes. Maintenance fees are $110 monthly. 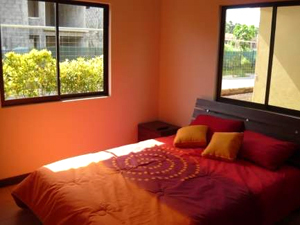 Prados del Rio is at the intersection of the highway to the Coco, Panama and Hermosa beaches with the Nicoya highway leading to many other beaches such as Tamarinda, Conchal, and Flamingo. The new CIMA and Clinica Biblica hospitals, now under construction, are on either side of the internatinal airport. CIMA, 5 minutes away or less, is scheduled to open in December. Clinica Biblica is less than 15 minutes away. 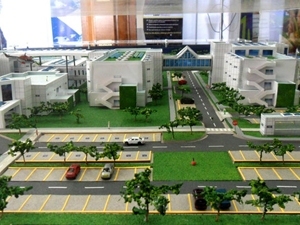 This is a model of the new $40-million Clincia Biblica hospital near the airport. 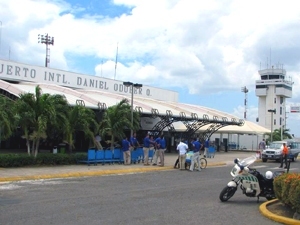 Liberia's international airport is convenient to the beaches and the new hospitals. The larger of the two condo models, the Begonia, have 3 bedrooms and 2.5 bathrooms in two storeys. The Azalea models have 2 bedrooms and 2 bathrooms on a single level. 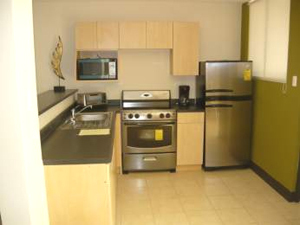 The kitchen in a Begonia condo. 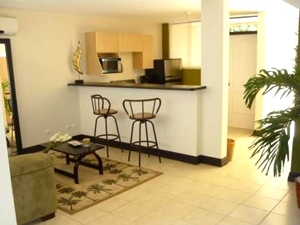 The living area in the Begonia. A second bedroom in one of the Azaleas. 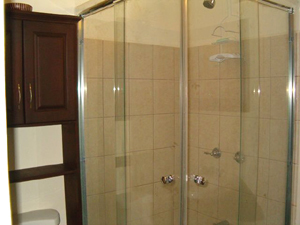 The shower in an Azalea bathroom. 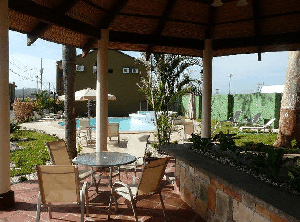 Among the amenities are several play areas including ranchos and swimming pools with jacuzzis. 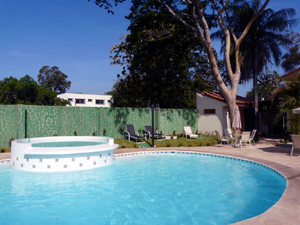 One of the swimming pools with jacuzzi. 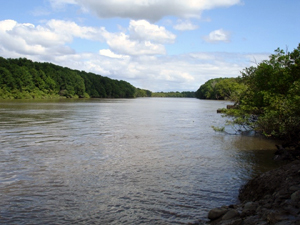 The Tempisque River is nearby.